Jace Wayland Morgenstern Herondale Lightwood is certainly one of our book boyfriends, and the folks at Teen.com feel the same! Jace made Teen’s list of Young Adult Book Boyfriends. 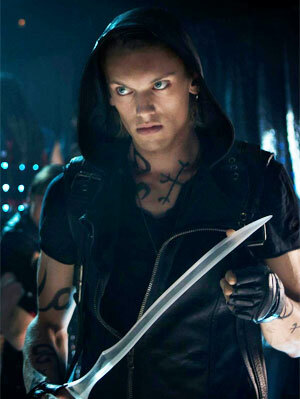 Similarly to Four, Jace has a tough exterior. However, it’s when he shows his vulnerability around Clary that completely makes us melt. Who are some of your other Shadowhunter Chronicles boyfriends? Leave your book BFs in the comments! Jace, Akiva, Dimitri, Will, Jacob, Jared and more!!! Will, and Jem! Also I’m a little disappointed that Simon Lewis didn’t make the cut . Jace should just always be number one on this list. Congrats, my love. LOL. And… wow. I’m sort of surprised you guys didn’t mention Edward sooner than you did. LOL. .And though I know Game of Thrones/A Song of Ice and Fire isn’t at all for teens, this list wouldn’t be complete to me, if I didn’t put people like Jon Snow, Robb Stark, and Gendry Waters on here. LOL. Will, Jem, Gideon, Gabriel, Jace, Simon, Alec and Magnus. But from this very large fandom of hot guys: Simon, Will, James, Julian (just because i know that I will love him 😀 ) are all my husbands. And Jace (on/off, cause sometimes I want to be his sister. Not in a Clary way though! ), Jem, Gabriel (on/off cause he pisses me off sometimes) and finally Gideon. But there are so many more form other fandoms! Okay… though I know Henry’s not for YA girls, I just have to mention him. I mean, how can you NOT love him in TID? He’s so sweet, and funny, and brilliant, and loves Charlotte so much… He’s just all around amazing. Personally, I LOVE the Henry/Charlotte ship, and I’m sad they don’t get more love. I think they might be one of the cutest and most beautiful pairs that CC has ever written. And I know I, personally, loved reading about Henry and Charlotte in TID, when the teenage angst became too much for me to take. LOL. Will & Gabriel from TID, Percy from Percy Jackson, Jacob from Twilight, Maxon from The Selection and More!!! I think I’m missing some! I took the quiz and m yfictional boyfriend is Jace. JACE I LOVE YOU SO MUCH. YOU MAKE ME HAPPY. Jace, Simon, Four (Divergent), Ian (The Host), Peeta (The Hunger Games), Finnick (The Hunger Games). That’s all. will, jem, henry(don’t judge I love him) jace, alec, magnus, Jordan and Brother Zac….